Dr. Poornima Ramakrishna is a Senior consultant in the field of Obstetrics & Gynecology.Having Grown in the field for the last 15 years & more.Her Special interest lies in encouraging natural birth, even in high risk pregnancies & helping women fight the fear of labour pain, through her classes & her counselling. Also, she practices Gynecology & infertility. My experience at Apollo Cradle was amazing. I had the best maternity care. Special thanks to Dr. Poornima for providing the special pregnancy care tips. I loved the ambience and cleanliness. The best place. “Thank you Apollo Cradle for a great experience”. I was under the care of Dr. Poornima she is very caring and down to earth. Her dedication and attitude are her best assets. I had the best journey during my pregnancy. The post pregnancy care rendered was also very beneficial. Dr. Poornima was a blessing for us. She comforted me with the best care. I and my baby are very healthy. I also thank all the nurses and housekeeping staff. I am really happy with my experience at Apollo Cradle. Dr Poornima Ramakrishna is a wonderful person. I can’t write thank you enough to express the gratitude in my heart for the help you gave me. My experience at Apollo Cradle was pleasant. The administration is well run and extremely orderly. There are no delays. The support staff is highly accommodating and the nurses go beyond the extra mile to help you out. I was under the care of Dr Poornima for my delivery; she is highly trained and polite. She guided me throughout without any problem and with a very positive attitude. Thank you, Apollo Cradle. Thank you for giving us a precious gift which can never be taken from us. I was admitted to Apollo Cradle for my delivery under the care of Dr Poornima. She was supportive and calm. I seriously could not have done it without her. The staff is amazing and helped ease my pain and confidence up. Overall, a great experience. Thank you. There couldn’t have been a better place to deliver our little bundle of joy than Apollo Cradle. The housekeeping staff was friendly & supportive and we’d an awesome experience! Thank You for making this lifetime moment so cherishable! Mrs Tracy Chari – Apollo Cradle Koramangala, Bangalore. I got to know about the Apollo cradle through an advertisement. I consulted Dr Poornima Ramakrishna of the gynaecology department for my delivery. The PRO explained us the packages and handled queries nicely. The front office team was very cooperative. The doctors listened, understood the concerns and made me feel at ease. Nurses were caring too. Food taste and quality was good. Rooms were available with good amenities. Nice Experience. Apollo Cradle is expected to provide top notch services and expertise and I was happy that they delivered! Their doctors are very good, and the support staff is great when it comes to other services. Thank you to my doctor, Poornima Ramakrishnan, and special thanks to Gayathri and Velankanni. Apollo Cradle gave me and my family good hospitality, for which I am very thankful. My doctor, Poornima Ramakrishnan was excellent. The housekeeping staff, Padmavathy and nurse Shammi receive my special thanks for being so understanding. We are very happy to choose Apollo Cradle for consultation and delivery of our child. We recommend Dr. Poornima to all expectant mothers. Inspite of coming in late night we were attended on priority and a tedious surgery was done very professionally. We trust Apollo Cradle and recommend to all. Overall experience was fantastic. The staff is extremely responsive to the mother and child’s needs. The physiotherapist- Dr Ruth was very effective in making sure mothers get back to normalcy at the earliest. 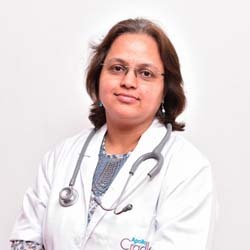 Best part about the experience was my doctor – Dr Poornima Ramakrishna. I had high expectations and she surpassed them all. Thanks a ton! It was an excellent experience at Apollo Cradle; Dr. Poornima was my gynecologist. I started consulting in 6th month; Had a normal delivery and delivered a baby boy at the hospital, felt great about it. My baby was born @ Cradle Jayanagar and my doctor was Dr. Poornima who was very good. All the Cradle staff provided their dedicated support and cooperation during my stay. Dr. Poornima Ramakrishna @ Cradle Jayanagar was excellent my overall experience was great. Thanks a ton to team. Felt like completely in safe hand. Thanks to Dr. who made me feel at ease and was outstanding. Personalised care was given at Apollo Cradle Jayanagar and had a comfort stay during my delivery Thanks. They were quick to answer any questions that I had. I was a patient of Dr. Poornima at Cradle Jayanagar, service is always on time. We are very much happy with Dr. Poornima, our Gynaecologist, for taking caring of me during my delivery. She is incredible and we had great a experience in Apollo Cradle. This testimonial is exclusively for the greatness of a doctor, Dr. Poornima Ramakrishna@ Apollo Cradle Koramangala. We are glad we made the right choice of doctor, who simply gave me the complete trust of being taken care of. She is the best I have ever seen. Straight to the point. No nonsense person. And above all, she imbibes super confidence as she always states the facts. She reigns above all and makes this experience worthwhile. I had a wonderful experience at Cradle Koramangala. My doctor is exceptional and truly helped pave way for a normal delivery. The staff was always available &amp helpful. Thank you for a great birthing experience.